The Renegades Men’s Shed Inc. The Renegades Men’s Shed can be found in Sandpiper Parade where they meet from 9am of a Tuesday. New members and visiting men are welcome. Although not having a home base, they achieved much while enjoying the camaraderie of a fun group. 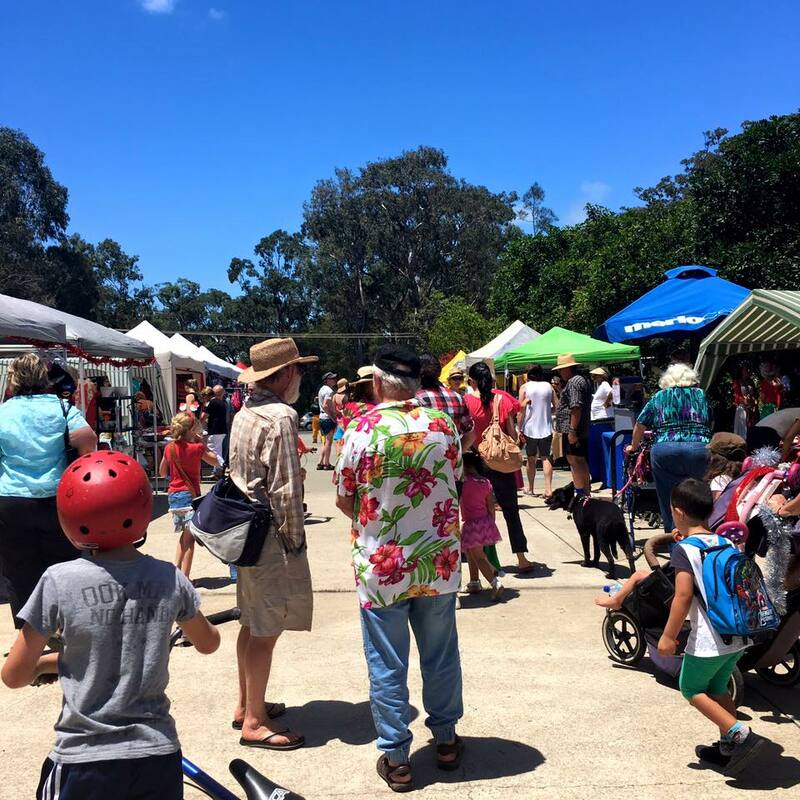 They have also helped those in need within the community and worked in partnerships with Redland City Council and community clubs and organisations. They intend to continue the maintenance of these seats while moving onto new projects. 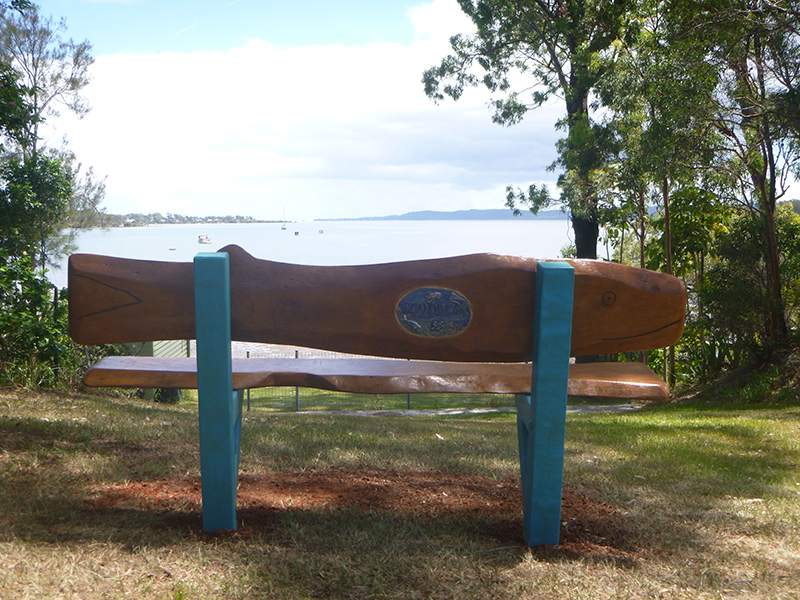 this seat is located in Koonwarra Parades Foreshore Park on the corner of Koonwarra Parade and Morwong Street. It is an excellent location to enjoy the view and the peace we enjoy due to the sacrifice of our servicemen and servicewomen. Unveiling of the colourful Bus Stop seat. 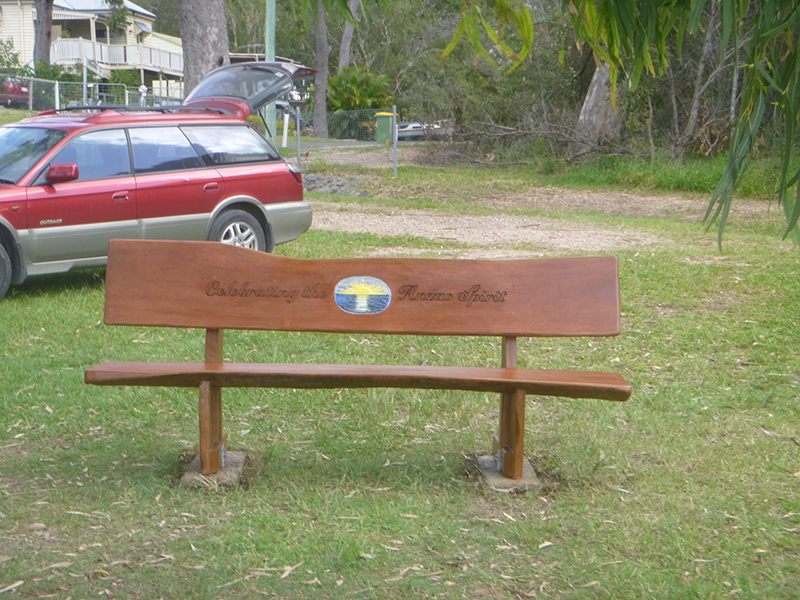 This seat enjoyed much community support including sponsorship by the Macleay Island Lions Club. An old seat was provided by Council and restored by the Renegades who also built a directional sign including considerable engraved humour. 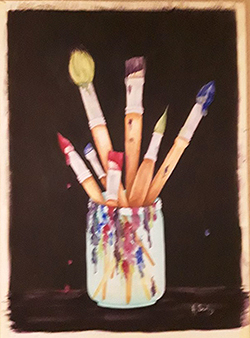 The seat was then painted by grades 3-4 children of Macleay Island State School with handprints by senior students included in the legs. This project showcased the skills of our island children and highlighted a partnership between the older and younger residents that can only have a profound impact on all who visit it. It is located at Alan’s Ramp on Mel Street near the corner of Pecan Street. 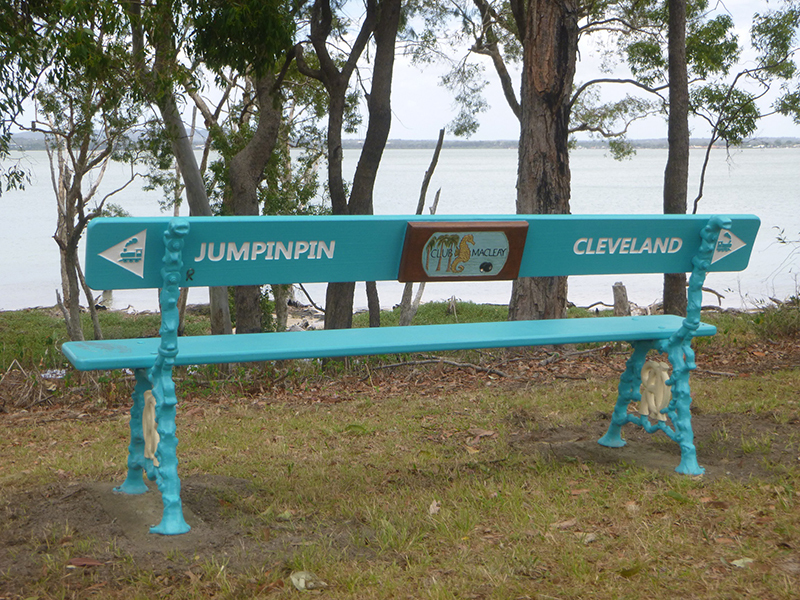 The Railway Seat sponsored by Club Macleay is a heritage styled seat with a touch of humour indicating that a rail line exists between Cleveland and Jumpinpin. 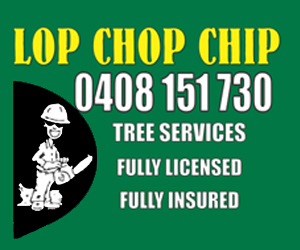 It is located in Benowa Street just before the corner leading to the club. 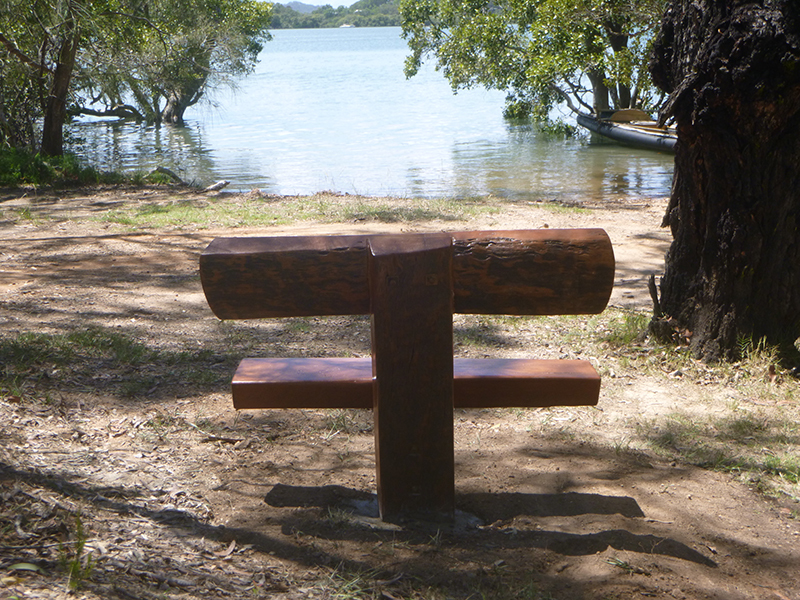 The Serenity seat was also built by island furniture maker George Ferrell for The Renegades and thus the community. It is located in Orion Street. ‘Jenny’ is dedicated to Jenny Copeland the late wife of one of our former members.They lived quite close to the seat’s location on Coorong Street. 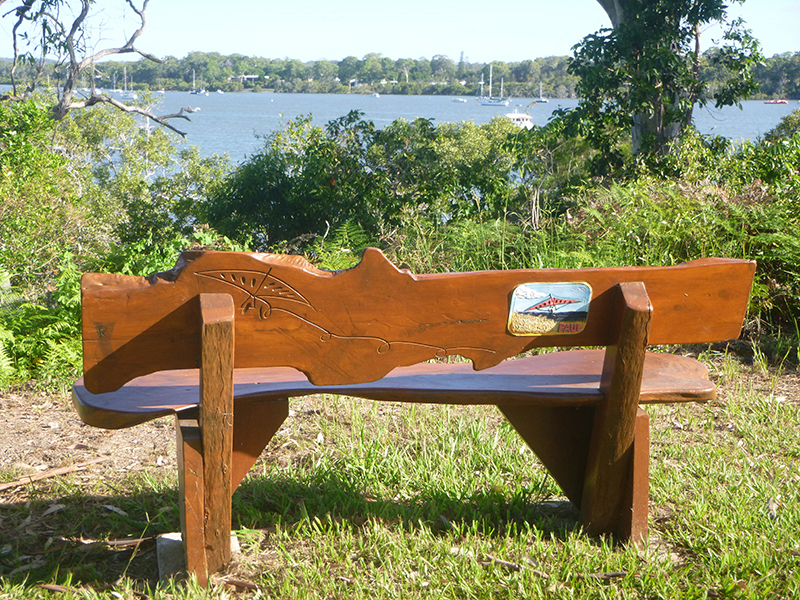 Quandamooka is dedicated to the waters of Moreton Bay and includes something of the shape of a whale. The inserted plaque includes aquatic life of the bay. The view from here is across the water to ‘Goompi’ (Dunwich) on Minjerribah (North Stradbroke Island.) It is located in Timothy Street. 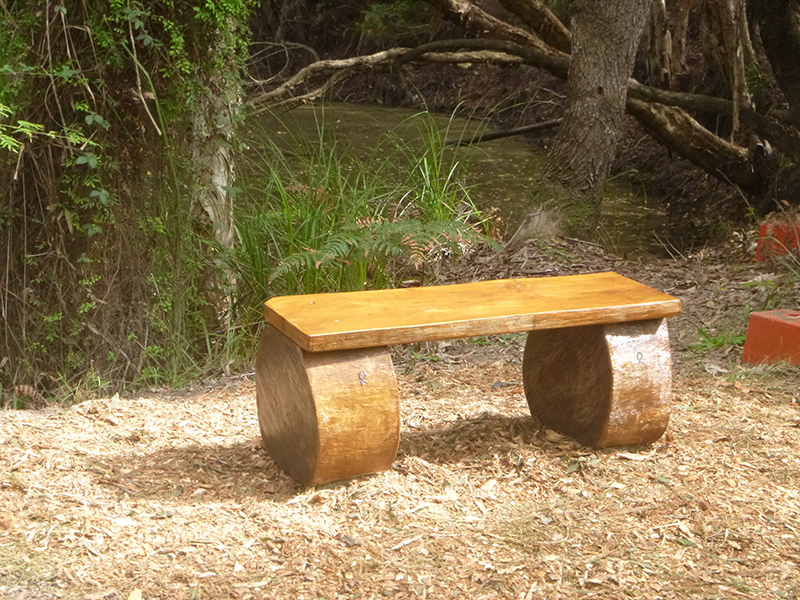 This simple bench is located at Tim Shea’s waterhole where residents sourced water before reticulation. Access is off High Central Road and then via Derwent Street. This is a significant Heritage site. The ‘Marzie’ seaside seat’ is located at Thomas Street and is dedicated to Michele Newton’s mother who paddled kayaks until very elderly. The kayak shape of the seat back reflects the pleasure she gained from the activity. Michele sponsored the seat and also through her Hi T Gals group has provided financial support and encouragement to The Renegades for a number of years. 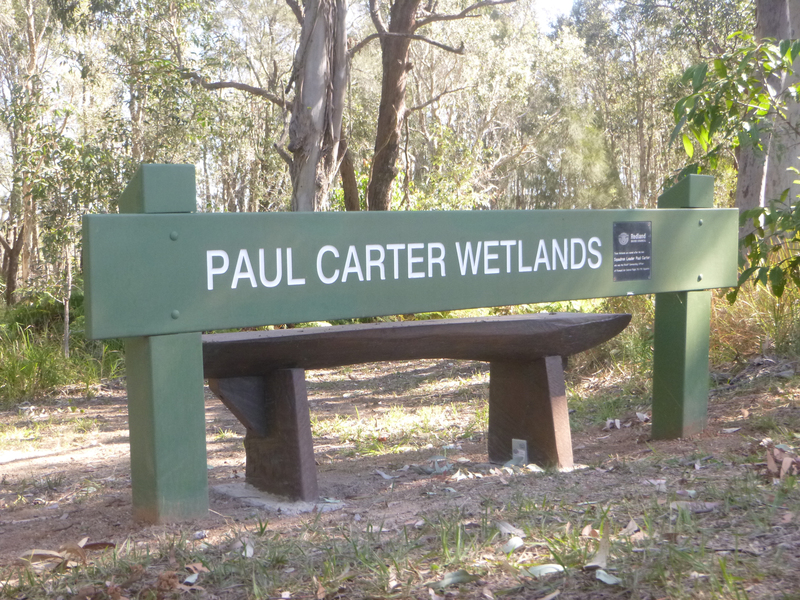 The ‘Calm Waters’ seat was sponsored by Suzanne Pike in memory of her brother Paul who was killed in a hang-gliding accident. His glider known as “Watermelon” is well depicted on the inlaid plaque. The routing is typical of how Paul would sign-off his written correspondence, showing his absolute passion for flying with the eagles. This seat which sits high up overlooking the beautiful views of Karragarra Passage & Lamb Island, where many an eagle can be seen, is located on the corner of Cowes Street and Scarborough Terrace. 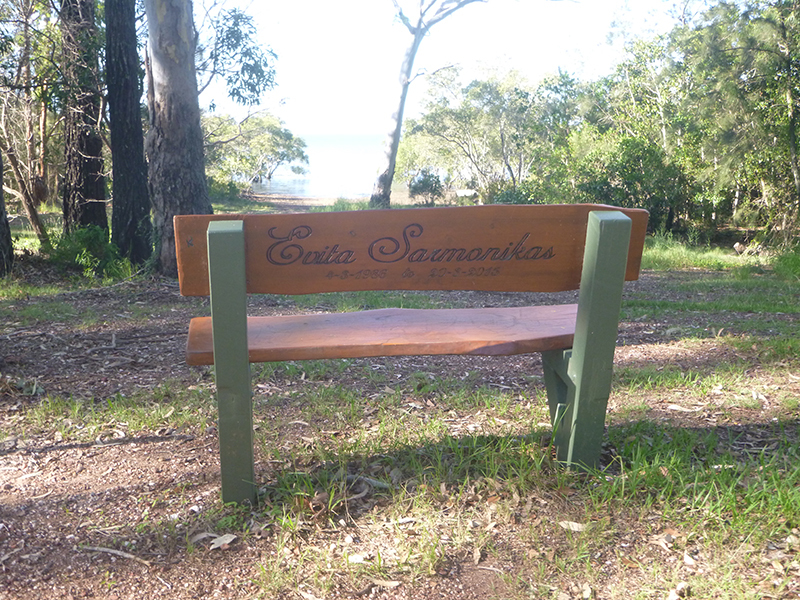 The ‘Evita Sarmonikas seat’ is dedicated to a wonderful young lady who lived for many years on Perulpa Island. 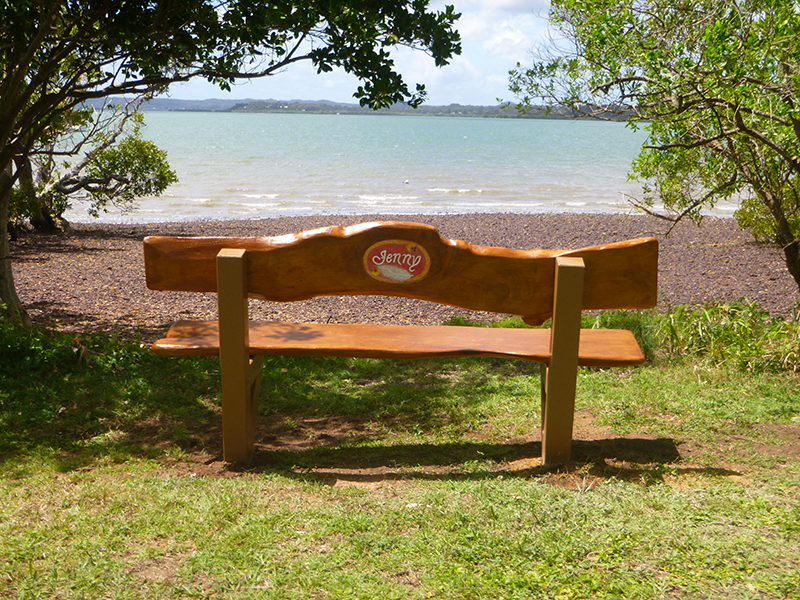 This seat is located at Anglers Place in Blue Bay Crescent, just a short distance from her home. 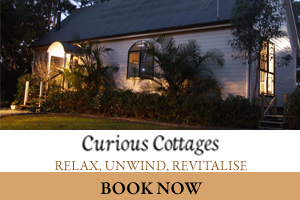 It enjoys views up the Bay towards North Stradbroke and Peel Islands. 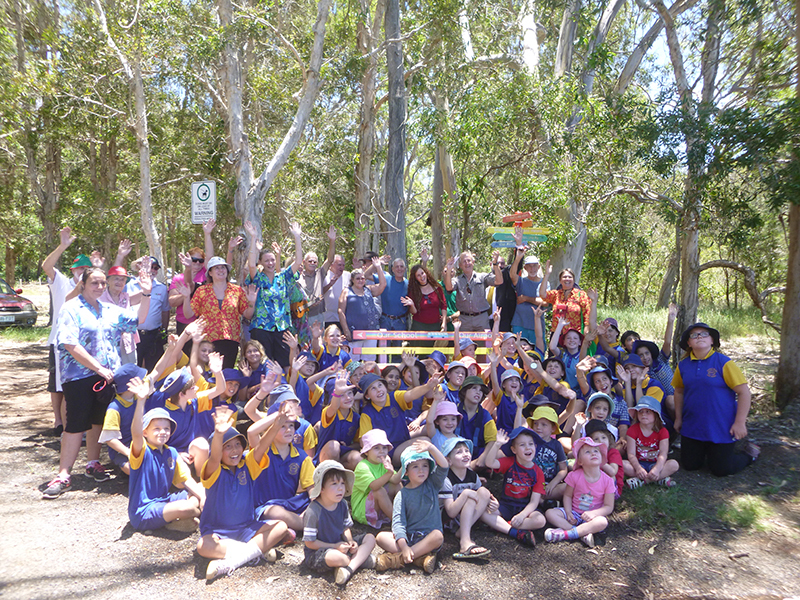 The Passage Views seat is yet again a joint Redland City Council and Community project. 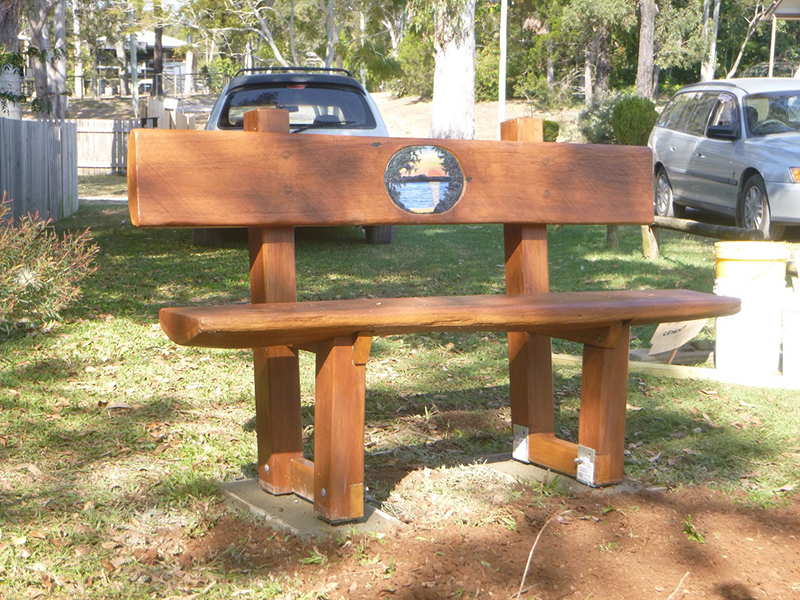 Council provided a used timber seat which the Renegades refurbished and had engraved by Jude Fernandez. Cement for the footings was supplied by Council and the works sponsored by the Bay Islands Golf Club. 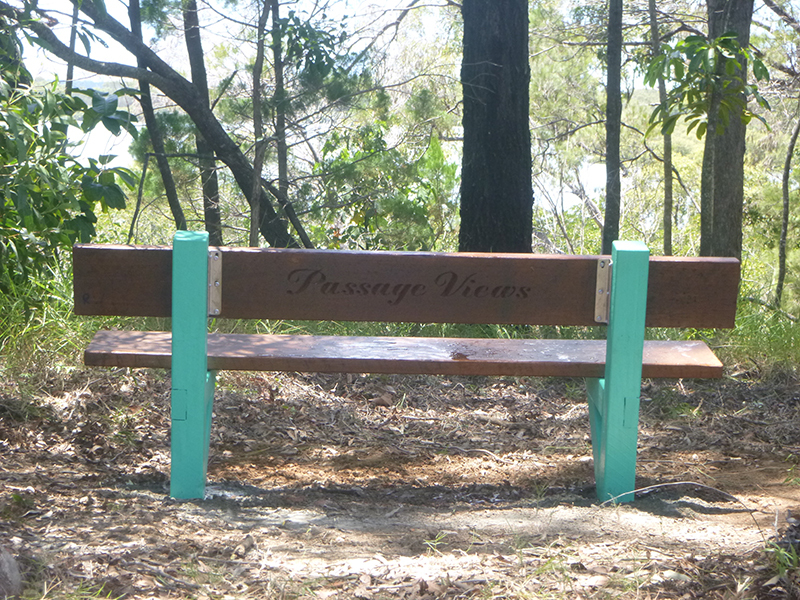 The seat is located at Waterside Drive adjacent to the toilets and provides a pleasant shaded location for those walking the Trail to enjoy a rest and for those living locally to enjoy the view. Want to know more about the Renegades or their wonderful island seats? 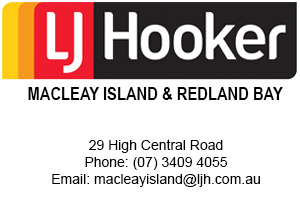 Phone Ian Kirk on (07) 3409 5886 for further information.